Dusty violet color. Interesting aromas of vanilla sugar on lime, sandalwood, gochujang, and boysenberry with a velvety, bright, fruity medium body and a smooth, breezy chocolate genache and coconut cream finish with moderate oak flavor. A smooth and easy drinking merlot pleaser. Bottom Line: A smooth and easy drinking merlot pleaser. 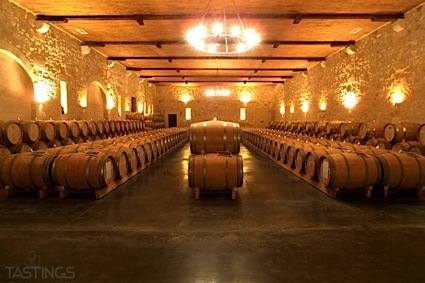 Merlot in Italy is not widely planted, but it is used in some notable wines. A good deal of it is found in Tuscany, where it can be part of the blend of Vin Nobile di Montepulciano or Chianti as well as Bolgheri. Some producers in Bolgheri produce a stand-alone version of Merlot, crafting a powerful wine that can age for more than a decade. Merlot is also a part of several blended reds in the Veneto region, while there are several producers that craft a stand-alone version in Sicily, where the warm temperatures have resulted in ripe, fleshy wines with round, elegant tannins. 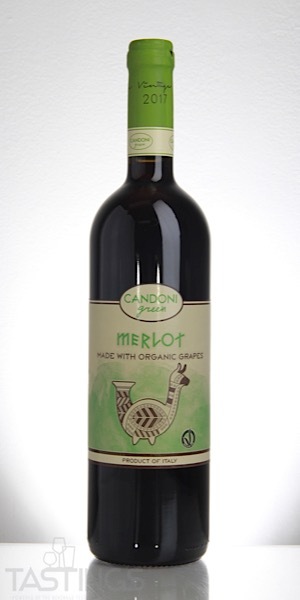 Candoni 2017 Organic, Merlot, Tre Venezie rating was calculated by tastings.com to be 88 points out of 100 on 10/30/2018. Please note that MSRP may have changed since the date of our review.